Sometimes there is nothing that can satisfy that need to be perked up than a big tub of ice cream . Now I know the obvious contenders in this category Is Haagen Dazs or good old Ben & Jerry's but I happened to stumble on this little delight after work on Saturday when I popped in to M&S for their meal deal. 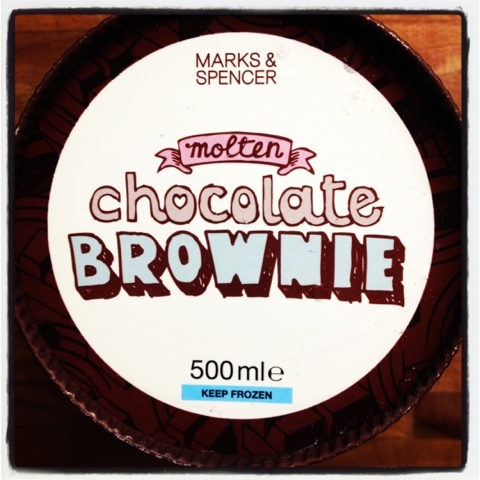 At that moment in time there was only one flavour that could win me over and that was their "Molten Chocolate Brownie". Sweet god it was exactly what it said on the metaphorical tin.